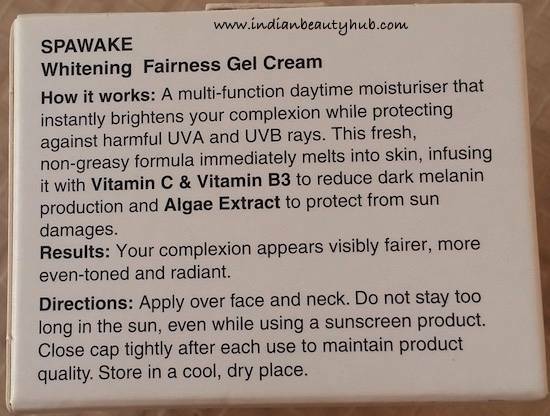 Hey everyone, my today’s review is about the Spawake Whitening Fairness Gel Cream with SPF15/PA+. I’ve already reviewed a few of the Spawake products, you can read complete reviews here. 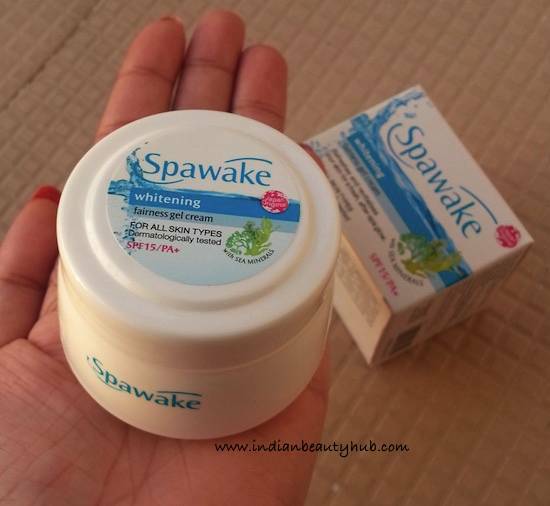 Packaging: Spawake Whitening Fairness Gel Cream comes in a white plastic jar with a screw cap and inner lid. The packaging is compact, sturdy and travel-friendly. All the product related information is provided on the outer carton box. 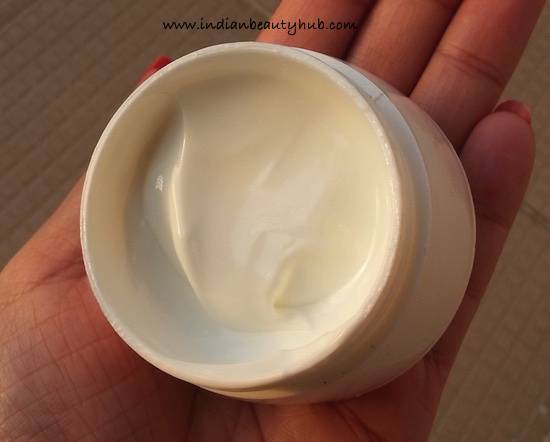 Texture & Fragrance: The gel cream comes in a milky white color and has a sweet floral fragrance. 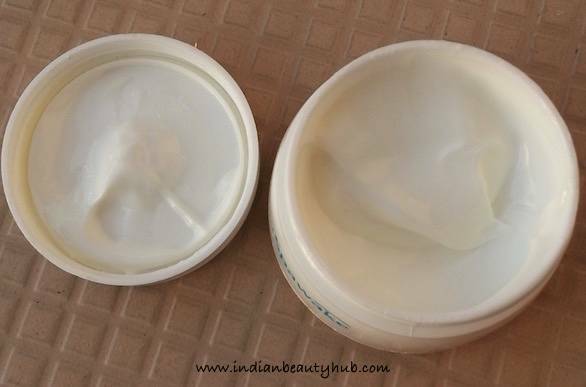 The gel cream has a perfect consistency, neither too thick nor runny. Price & Availability: The price of the Spawake Whitening Fairness Gel Cream is Rs.129 for 25g and Rs.249 for 50g. Spawake skincare products are easily available at local beauty stores, Big Bazaar and online shopping sites. Efficacy: I usually take a small amount of the cream and apply it all over my cleansed face and neck. It spreads easily and gets completely absorbed in the skin with a little massage. 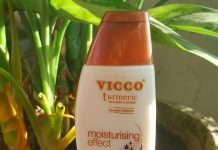 It hydrates the skin well and SPF 15 provides adequate sun protection if you stay indoors and don’t have much sun exposure. 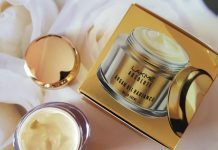 I tried this gel cream for some time and now I stopped using it, as it was making my skin greasy and more oily. On the other hand my sister tried this cream and it worked really well for her dry skin. 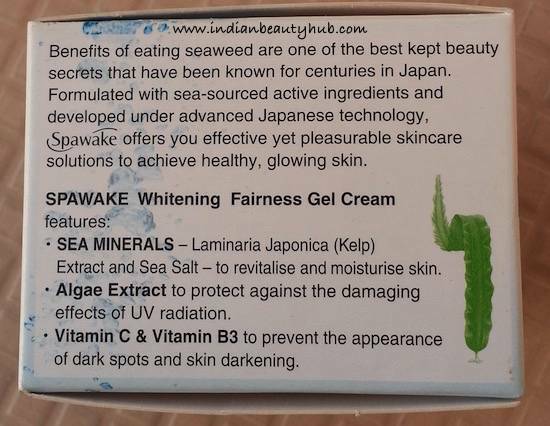 So I think Spawake Whitening Fairness Gel Cream will suit only dry skin people whereas people with combination and oily skin should completely avoid it. Works nicely for dry skin. Doesn’t cause any skin breakouts. Not suitable for combination/oily skin. Skin whitening/fairness claims are not true. 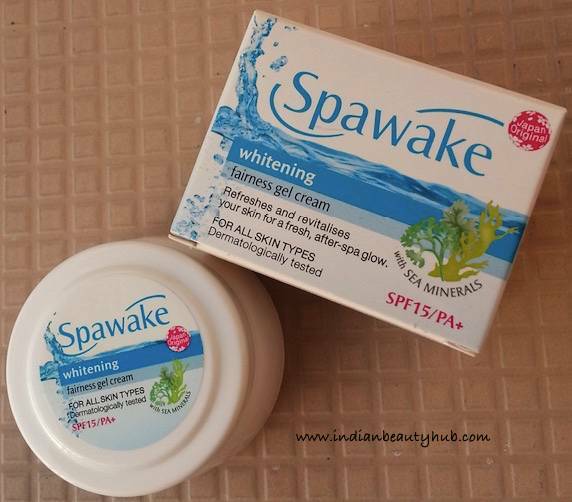 Overall Spawake Whitening Fairness Gel Cream is an average product. 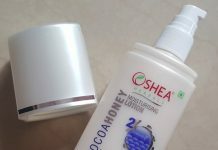 People with dry skin can give this a try, but oil/combination skin people should completely skip it.